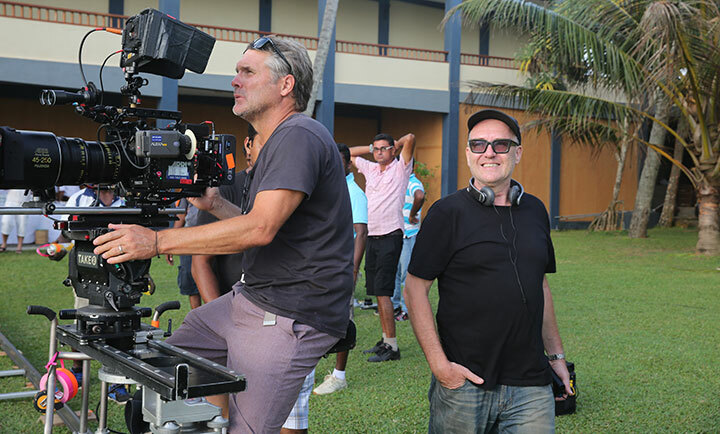 Director Bill Eagles and cinematographer Michael Snyman discuss their work and partnership on ITV’s new India-set medical drama The Good Karma Hospital, and reveal the challenges of filming on location in Sri Lanka. For the cast and crew of a television drama, there can be worse places to spend a 12-week shoot than on location in idyllic Sri Lanka. 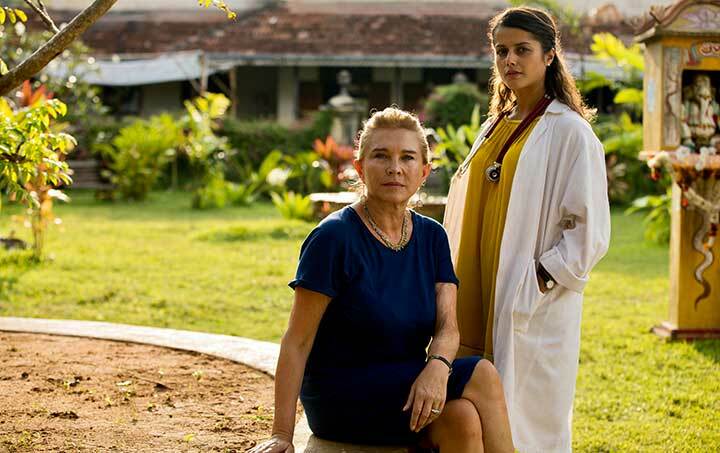 The island doubles for neighbouring India in The Good Karma Hospital, a six-part medical drama for UK broadcaster ITV. But while they were able to capture its luscious landscapes and striking sunsets, lead director Bill Eagles and director of photography Michael Snyman say filming in Sri Lanka posed a unique set of challenges. The show tells the story of junior doctor Ruby Walker (played by Amrita Acharia), who leaves the UK to join the over-worked staff of the run-down Good Karma Hosptial. Led by eccentric Brit Lydia Fonseca (Amanda Redman), the cottage hospital is the beating heart of the community and soon becomes home from home home for Ruby. The cast also includes Neil Morrissey, Phyllis Logan, James Floyd, Darhsan Jariwalla and Sagar Radia. Produced by Tiger Aspect, the series was created and written by Dan Sefton (Delicious), with scripts from Vinay Patel and Nancy Harris. Stephen Smallwood produces, with exec producers Will Gould, Frith Tiplady and Iona Vrolyk. Endemol Shine International distributes internationally. “When I first got the script, I thought they’d sent it to the wrong guy!” jokes Eagles, who directs the first four episodes, with Jon Wright picking up the final pair. With a background in series such as CSI, Gotham, The Mentalist and Strike Back, he admits he has a reputation for blowing people up or setting them on fire – and there was none of that in the Sefton’s scripts. Eagles says he was particularly drawn to the project by Sefton’s “sophisticated” scripts, plus the interplay between Redman’s eccentric matriarch and Acharia’s naive, wistful and optimistic stranger abroad. He continues: “If you’re shooting Casualty or a British hospital show, there’s only so many types of people who you can really bring in through the hospital doors. But, of course, if you set it in the backwaters of an Indian town, you’ve got a wonderful, rich array of characters, both rich and poor, European and local, with cultural issues and issues of custom and religion. Unusually, Eagles chose to mix up the production by shooting episodes three and four first, rather than beginning with the first two, as might have been expected. But there was good reason behind his thinking. Often with a new series, particularly in the US, a single pilot is commissioned, meaning there is just one episode to set up the story. But with The Good Karma Hospital’s full season being ordered from the start, Eagles reasoned that by jumping ahead, the cast would have time to refine their performances and fully embody their characters before filming the opener. That process was made easier due to Eagles’ partnership with his director of photography, Michael Snyman (The Night Manager, Of Kings and Prophets). The pair had previously worked together in South Africa on Strike Back – Snyman was then a camera operator – so when they landed together in Sri Lanka, there was already a shorthand between them that meant they could hit the ground running. Snyman says the “big idea” behind shooting Good Karma was to embrace India through the show’s Sri Lankan location – a teacher-training college in Galle, two hours from the capital Colombo – and taking the camera outside as much as possible. Working outside in the heat provided its own problems, of course, but it meant the crew agreed to shift the filming schedule. Eagles chips in: “Making six hours of high-end European TV is not something anybody even remotely near us was used to, but we did take in a lot of local crew and it was great. Our gaffer was training some of the people on his team in electricity and cabling, and Mike and his camera department had people. 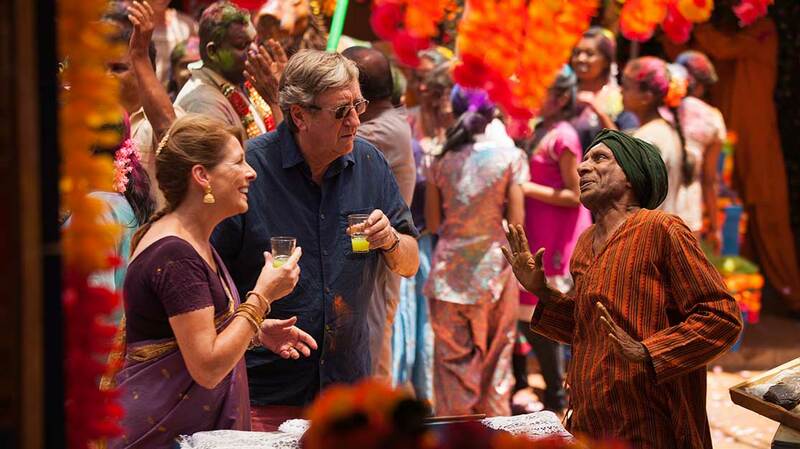 The number of extras swelled to more than 1,000 during an episode that required a recreation of the Hindu festival of Holi, which Eagles describes as a “massive rave” featuring dancers, drummers and two elephants. To meet the demand, production staff were sent out to nearby beaches to find holidaymakers who could join the festival scenes alongside the mass of locals. Likely to draw comparisons to BBC detective drama Death in Paradise, which sees a British police officer relocated to the (fictitious) Caribbean island of Saint Marie, The Good Karma Hospital promises to provide a burst of colour in the dreary winter months when it debuts on February 5.